Workplaces Manage Dangerous Substances’, organised by the European Agency for Safety and Health at Work (EU-OSHA). 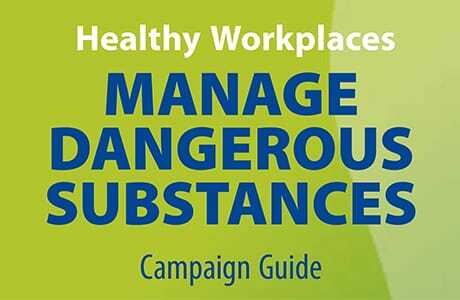 The campaign aims to raise awareness of the risks posed by dangerous substances in the workplace and to promote a culture of risk prevention to eliminate and, where that is not possible, effectively manage these risks. Please, read the EWJI Legal notice, and check the following box to confirm your agreement. EWJI welcomes a new member: NLB CORPORATION Why to be EWJI member?